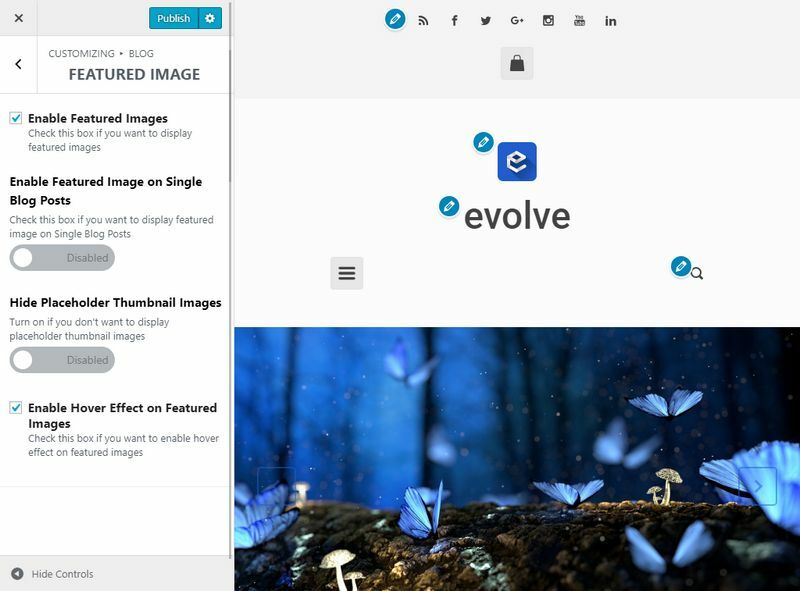 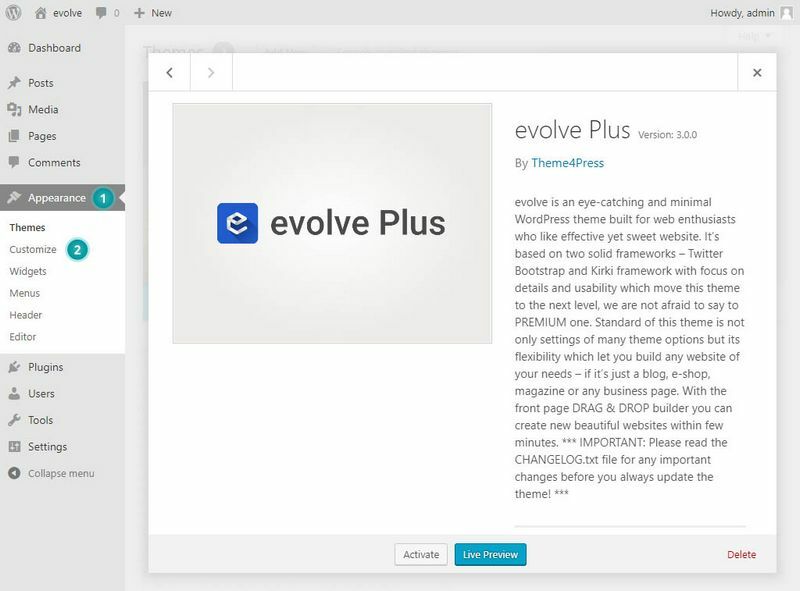 evolve theme comes with the predefined blog which can be shown on the front page or any specific page of your choice. 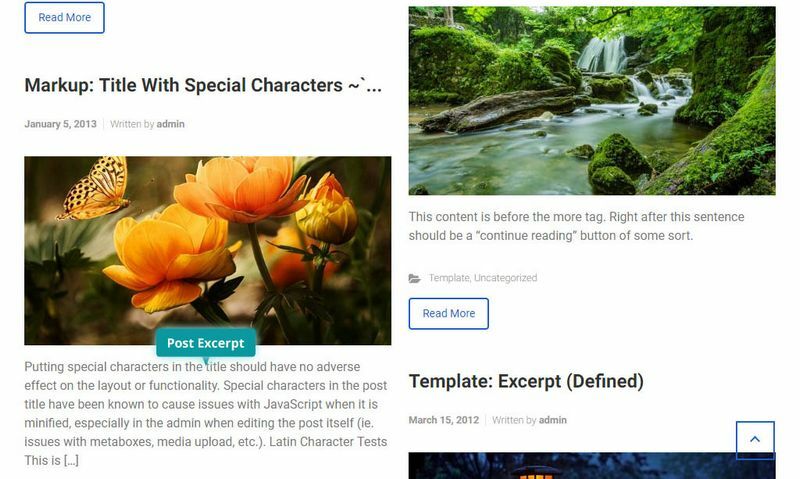 In order to set the blog for a specific page, follow these instructions. 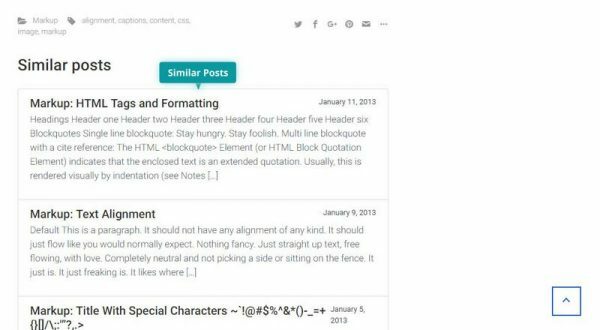 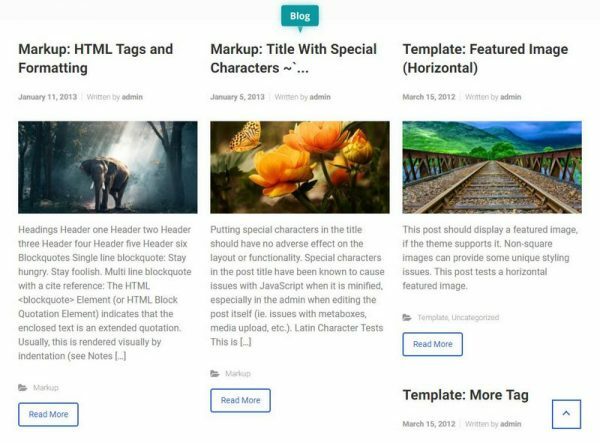 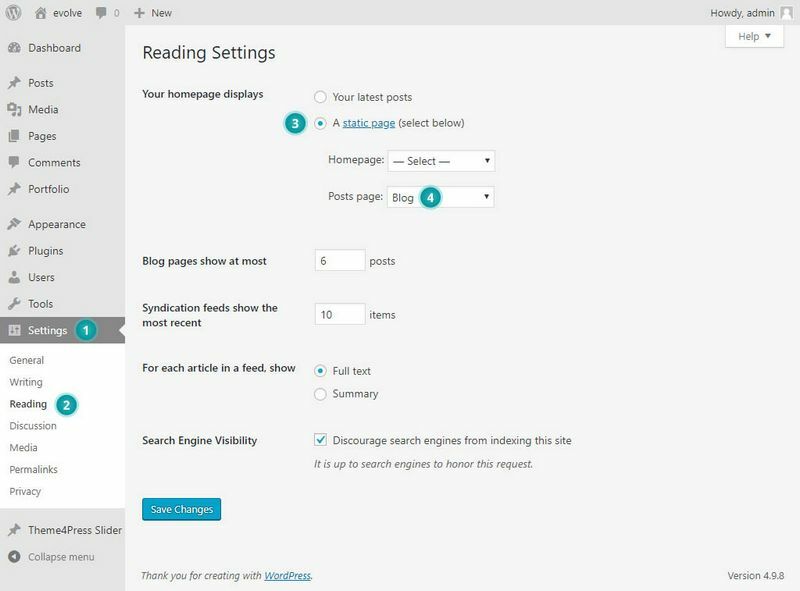 Create a blank page, name it for example “Blog” (or whatever you like), and then go to Settings Reading Front page displays A static page and set that page as your Posts page. Below are instructions for configuring different sections of the blog. 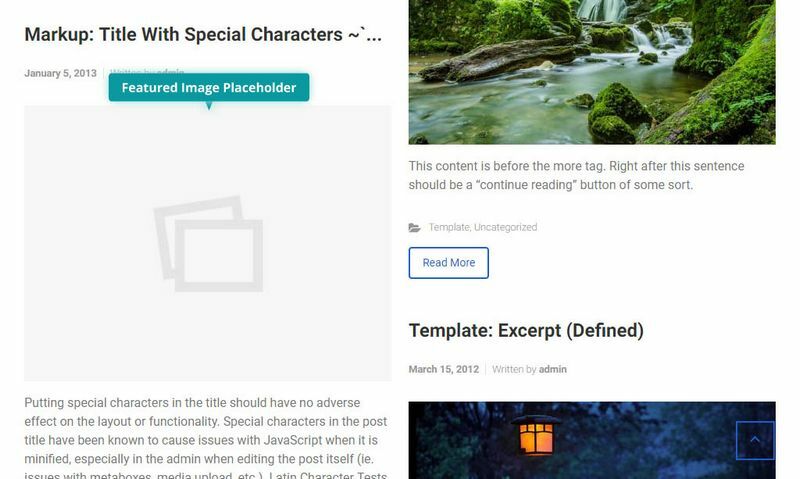 You will need to go to Appearance Customize Blog in order to access controls for these sections. 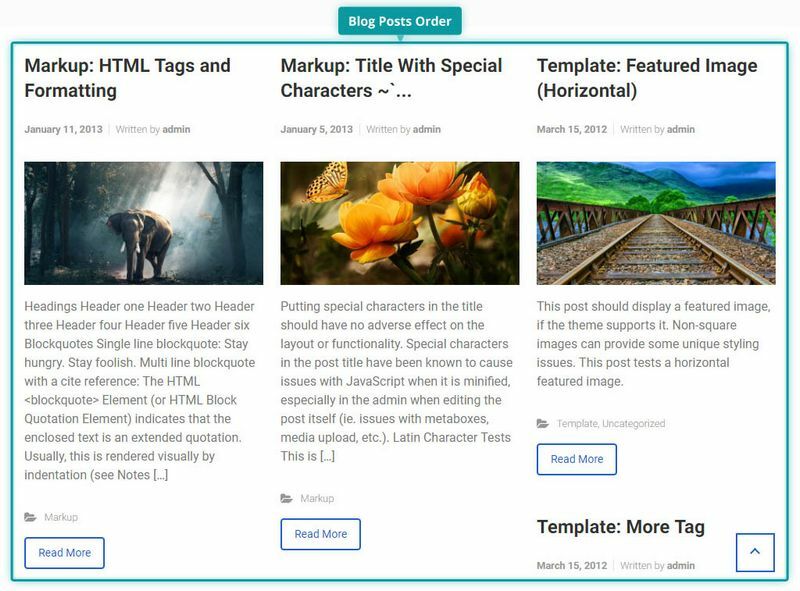 In order to set up the overall layout of your blog, go to General, and you will have several options there. In the Posts section, you have the option to control things such as post title excerpt length, related posts, and more. 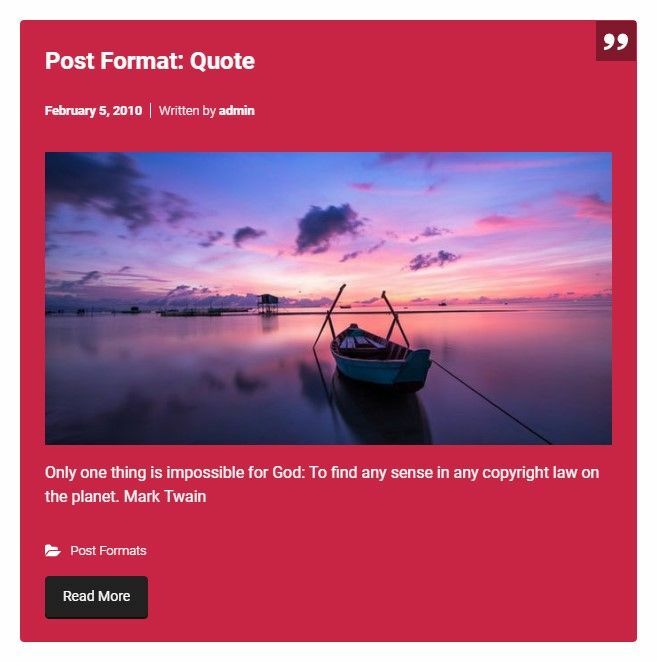 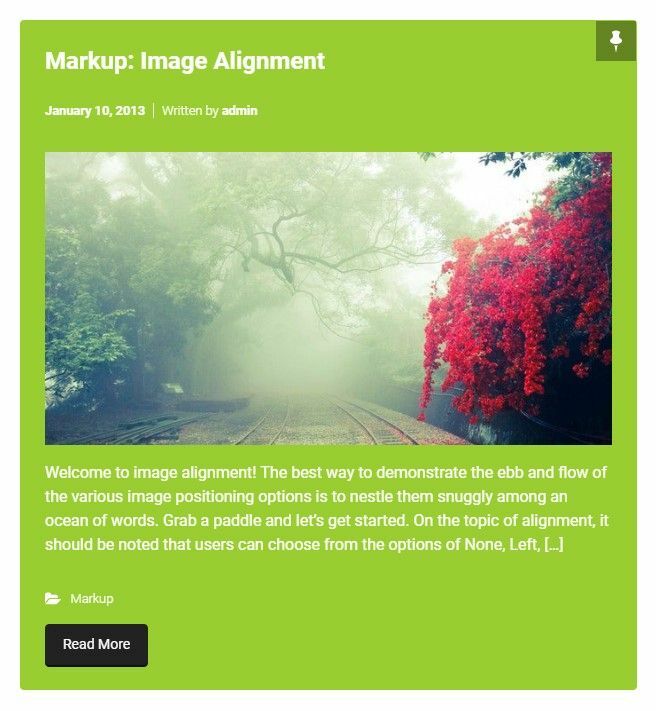 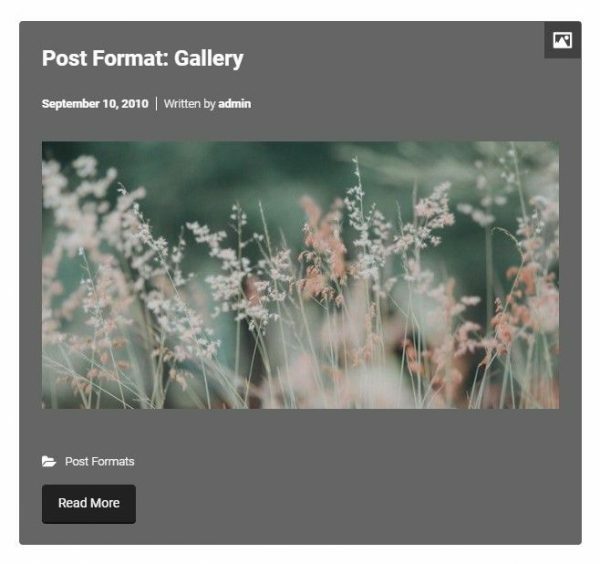 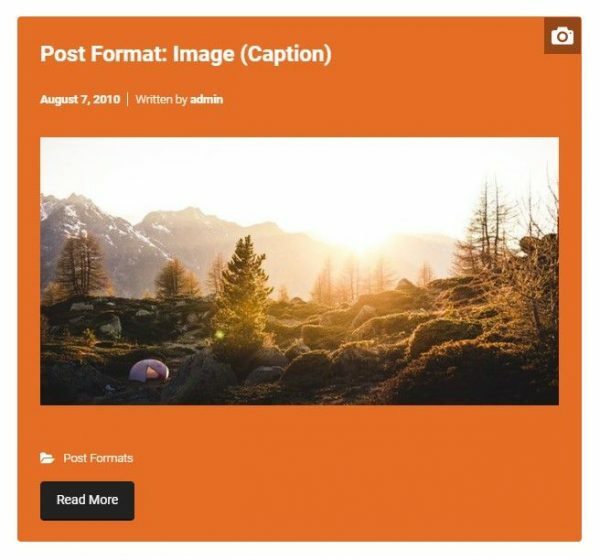 In the Featured Image section, you have the ability to show your featured image automatically at the top of your single blog post, blog index or not. 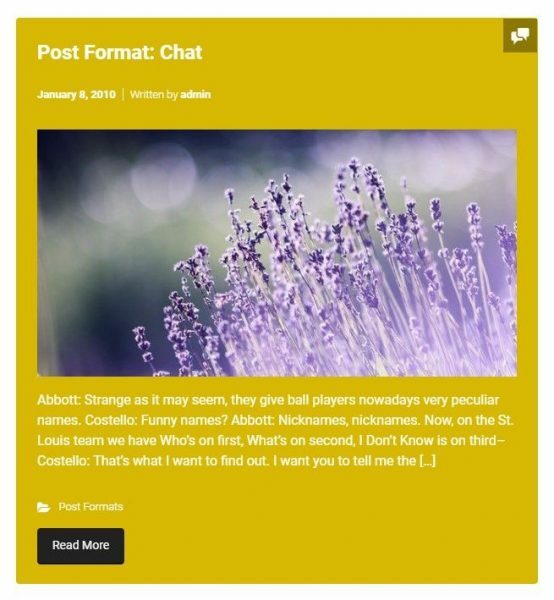 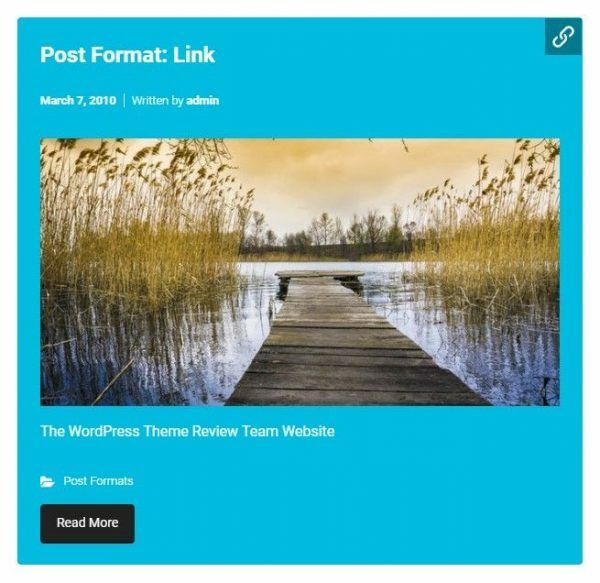 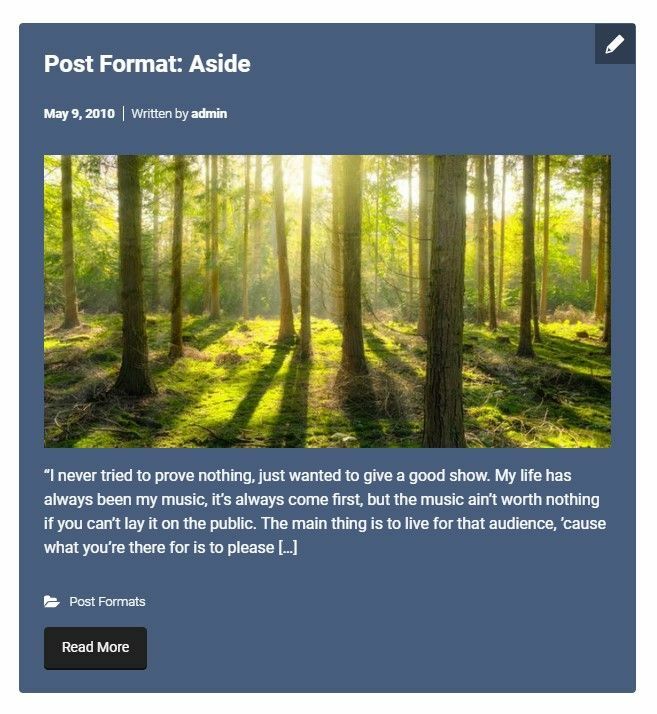 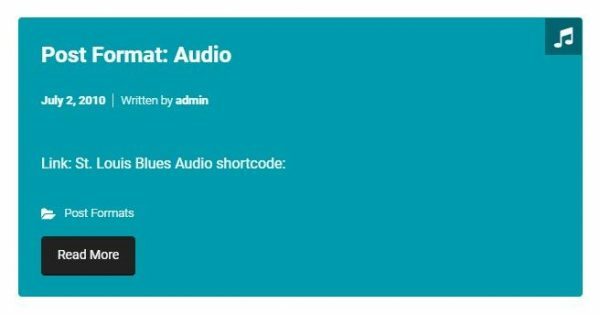 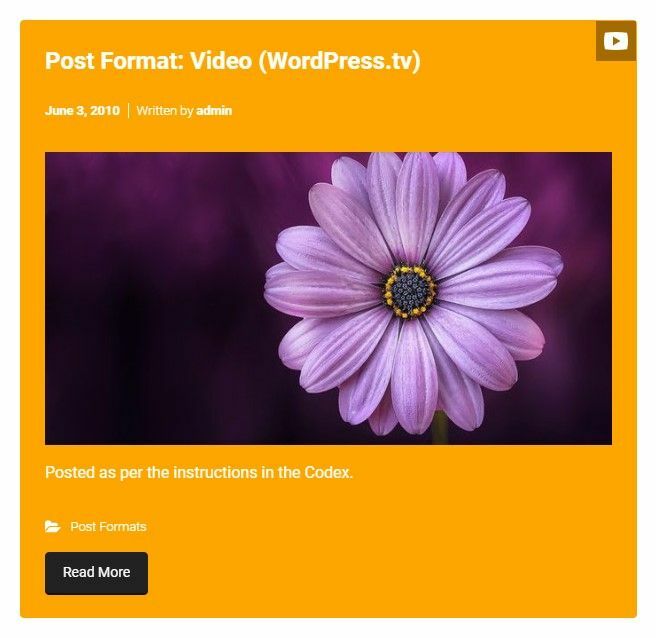 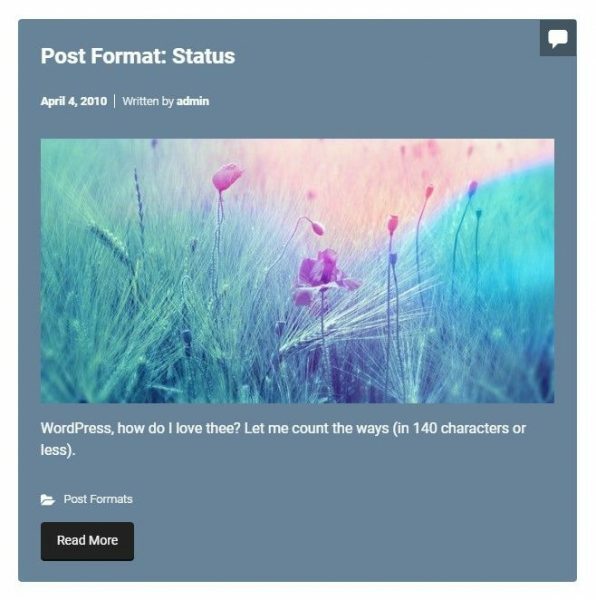 The post format section controls if any post set with a defined format should be highlighted with a background color or not. You can enable this feature in the Post Format section.